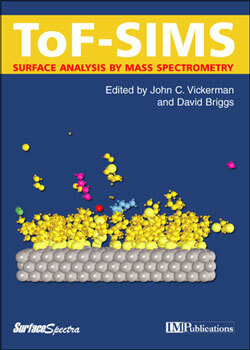 Time-of-flight secondary ion mass spectrometry (ToF-SIMS) is the most versatile of the surface analysis techniques that have been developed during the last 30 years. Current instrumentation provides a powerful combination of capabilities for molecular detection and trace element determination, imaging and microanalysis, and shallow depth profiling. Contributors who are acknowledged experts in ToF-SIMS, both in its instrumental and theoretical development and in its application, provide a comprehensive treatment. An integrated view of the technique is presented, in addition each chapter stands alone as an authoritative description of its particular area of expertise. for those who wish to understand its application in particular areas of materials technology. The book is introduced by two chapters, one, which reviews the history and development of static SIMS and another, which introduces the basic theory.